This weekend I caught up on Syfy's shows "Dominion" and then "Dark Matter." They're both great shows. I thought they were both finishing this week, along with "Defiance," but there are a few episodes left of "Dominion." Yippee! All three shows just keep getting better and surprising me. I hope they all return next year. You just never know with Syfy. Well, with any TV network, really! Actually, recently Syfy has been giving the shows one last year to wrap things up, and telling everyone they're renewed for one last season, so hopefully that means we'll get at least one more. 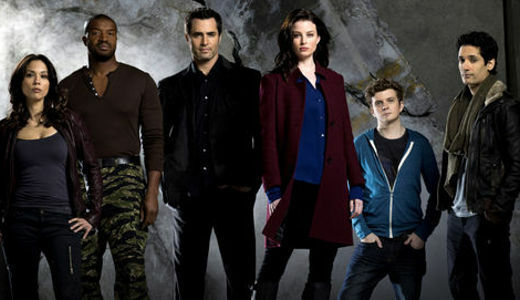 Speaking of Syfy, I'm really looking forward to the return of "Haven" and "Continuum," even though it's the end for both shows. 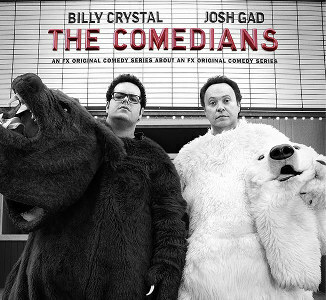 I also caught up watching FX's "The Comedians." I hadn't yet watched the last 4 episodes. I'm still so mad that they canceled it. It's just so good. I thought for sure it would be a hit. What do I know, I guess? That last episode was just so good, but also sad....bittersweet! I really enjoyed the "Teen Wolf" season finale, too, but the ending looked to me like zombies. Ugh. I hope not. I hate zombies. I wish every supernatural-themed show would not go there! They always do, though. Funny thing is, right at the beginning of the show, it suddenly occurred to me that maybe they would be zombies. Since Parrish stacks up dead bodies at that special tree area, I thought, uh-oh, since they killed off so many people, maybe they'll be bringing them back as zombies? Looks like I was right. Last week's "The Whispers" was really dumb. I enjoy the show, but it seems to get dumber every week. They already established that they could "see" Drill using thermal imaging, so why didn't they use that to find out if he was in Minx this week? All of the stuff they went through would have been easily avoided if only they'd done that. So that was just stupid and contrived. Unless I missed some explanation where they said it wasn't working any more...and I doubt that. It's too bad because otherwise, it's a really good show. They just do too many stupid things like that. Like, once they knew that Drill traveled via electricity, why didn't they turn off their electrical objects and go hole up in a cabin somewhere that has no electricity? 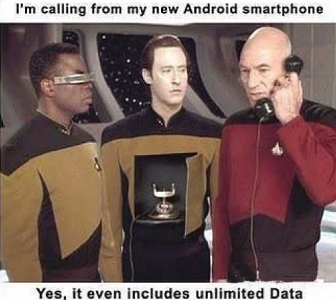 Why still use their cell phones when they might be heard? Why did Minx and her mother go back home when she knew it wasn't safe? There was a lot of obvious stuff like that. I'm not one that really nitpicks and looks for plot holes, either. I just like to sit back and enjoy the show. So it's gotta be pretty bad if I'm noticing them. This week's Entertainment Weekly had an article where they listed which summer shows were big hits and which weren't, and I can see why people stopped watching "The Whispers"....I'll stick it out until the bitter end, though. They got me hooked, regardless. I took a break from TV to catch up on the Daniel Craig James Bond movies. 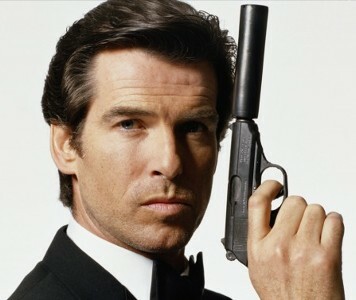 I used to go to all of the James Bond movies, but the last one I went to was back when Pierce Brosnan was playing Bond. 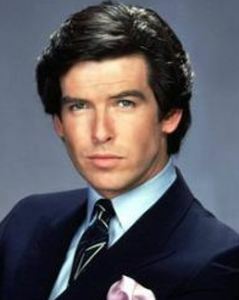 It's not even because I love Pierce Brosnan so much (which I do - ever since "Remington Steele"), but it's just that we stopped going to the movies. I hope to go see "Specter" in November, though. I read that the same guy is directing it that also directed "Skyfall." I have to admit that I loved "Casino Royale," but I found "Skyfall" to be disappointing in many ways. I hope the director and writer do better on "Specter." After that, there's one more Daniel Craig movie, and then I guess there's a new James Bond. It'll be interesting to see who it is. I wonder if it will be a black guy, or a gay guy, or someone else altogether? I wish we had more spy shows like we used to have. 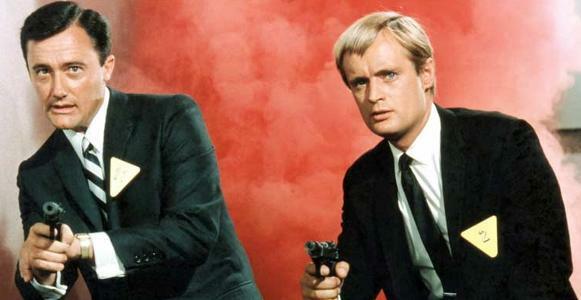 Back when James Bond was first a hit in the movies, we had many shows like "The Man from U.N.C.L.E.," "I Spy," "The Prisoner," "The Avengers," "Wild Wild West," "The Saint," "Mission: Impossible" and more. 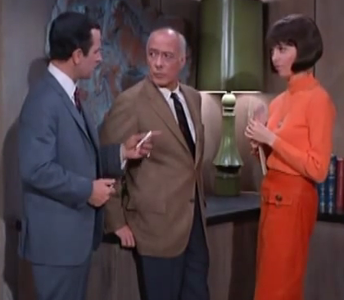 They even had "Get Smart" to spoof them all. These were all really good shows, and there were also a few that didn't last long, like "The Girl from U.N.C.L.E." 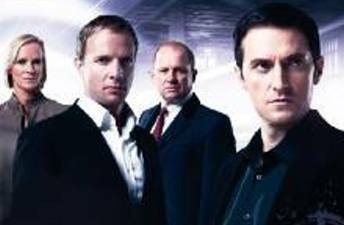 We've had a few good ones over the years, like "Alias," "Covert Affairs," "Burn Notice," "Spooks" (known as "MI-5" here in the US), and the animated comedy "Archer." Sometimes "NCIS" has spy elements, too, I have to admit. I guess I was too quick to praise "The Bold & The Beautiful!" They're being stupid again. There's this thing they do (and all soaps do it, but they're the worst), where they argue about the same thing over and over, and the answer is OBVIOUS, and no one brings it up. With this current Steffy/Ivy story.... it's stupid that no one has said to Ivy, "Look, the video is dark (because it was night time) and you can't really see the whole picture, literally. Aly may have had a rock in her hand - we can't see her hand. The fact that Steffy's on the ground and Aly is hovering over her, supports Steffy's story that she was acting in self-defense. You came in late to the scene, so you didn't see everything that happened before your stupid little video!" And then if she points out that Steffy didn't tell the police the real story, then Steffy can just tell her that she was in shock and not thinking straight (which is true). Yes, the story wouldn't be as good then, but it sure wouldn't be as contrived. At least Liam did finally call Ivy on her blackmailing behavior and how she's not acting like a good person. That is better than nothing, I guess. I don't know...the actress that plays Ivy is good, but I just don't see any chemistry between her and Liam, or her and Wyatt. Maybe that's why Hope is coming back? She and Steffy both have great chemistry with any guy. Our volunteer Danielle is still on vacation this week, so I've been mostly trying to keep up with her job, gathering press releases and posting them on our Primetime Forum, and sending them to her and Angie. Angie edits them down for me, so I can put them up on our Primetime News and Schedule Pages. This week's News and Schedule Page was here and next week's will be here. I usually put it up sometime on Saturday, so watch for it! Also, I did get to watch some of the new shows and write reviews. There will be more soon! Check 'em out. 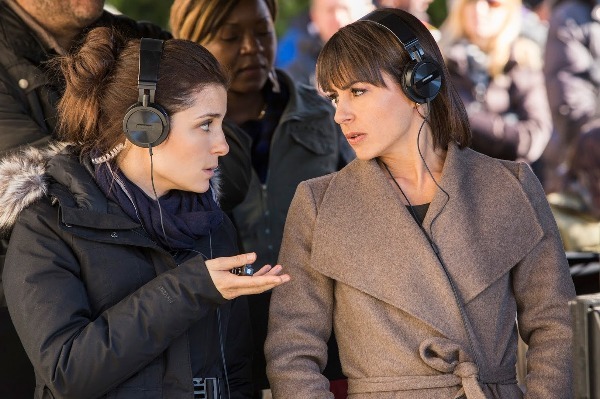 This week I caught up on Lifetime's new show "Unreal," which is very good. I don't watch reality shows, but they do a good job of showing how they work and what goes on behind the scenes. Really, though, it's just a great soap opera/drama. It's one of the big hit shows of the summer, so I hope you get to watch it! I have a bunch of DVD's to watch next: "The Originals" and "The Vampire Diaries," and FX's "The League" and "You're the Worst," among others. I should be getting some others in the mail soon, too, like "Supernatural". Also, I have tons of FOX shows to write about. I can't believe it's almost September, can you? That's probably my busiest month because of all of the new Fall shows. Part of me is not looking forward to that! By the way, quick reminder - we still need someone to write "The Young & The Restless" updates for our site! We need someone to help Ellen out when she can't do it. It's not hard, but it may take you a couple of hours, depending on how fast you type and write. 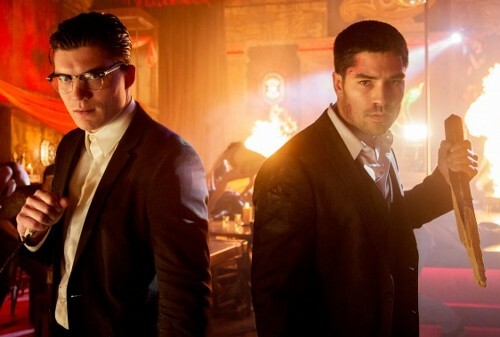 On Monday I'm interviewing the stars from the series "From Dusk Till Dawn," so that should be interesting. I watched yesterday's "Beauty & The Beast," which is always good. The characters get a little talky sometimes, and it seems so funny that the "Beast," Vincent, is way more romantic than his girlfriend, Cat, the cop. I have to say that it was kind of anti-climatic for them to kill off her dad this week. He hasn't been a regular character for a while, and we never really liked him or got to know him, other than as the villain. I really enjoyed seeing J.T. play hockey, though. That was cool. Allison Sweeney is leaving "The Biggest Loser!" That's weird. I know she'll be coming back a little bit to "Days of Our Lives," but that's not permanent. I wonder what else she'll be doing? I hope we get to see her in some great movies or primetime shows. The people at DOOL have been telling us how exciting the new shows will be (coming in September) with this new serial killer storyline that they've got for their 50th anniversary. 1) Been done before too many times; 2) they better now kill anyone I like off; and 3) the soaps need more love and romance, not more murder and violence! 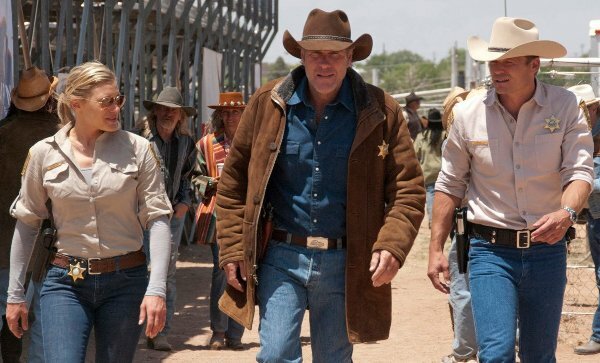 I saw someone on Twitter talking about how A&E "dissed" the fans of "Longmire." I assume they mean because they canceled the show. If you're not 12, you should know by now that TV is a business. Shows get canceled if the ratings drop and the networks lose money. They don't owe fans anything. And lastly - as I keep saying - MOST TV SHOWS GET CANCELED WITH THE FIRST YEAR!! Get over it, deal with it, move on. Just be grateful that Netflix picked it up for another year. The people at A&E, just like any network, love their shows and get just as attached to them as you and I do, and they hate canceling good TV shows. It's their job to make these tough decisions. No one wants to be hated by fans. Everyone in the TV business knows very well that their jobs are temporary and they will probably lose the job and have to find another. It's what they do. If the cast and crew can handle it, so can you. Don't blame the network. 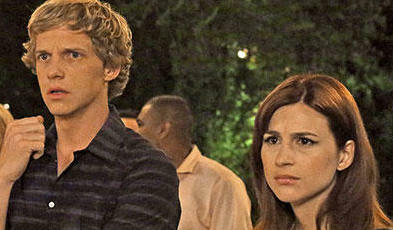 Blame the people in the U.S. for being stupid and not watching the good show. Hey, I enjoyed it, but I can see why some people might not like it. It's very slow-moving at times. There's all that weird mystical Indian stuff (not to mention a long-drawn-out murder mystery). Some people just don't like Westerns, too, which is what this basically is.